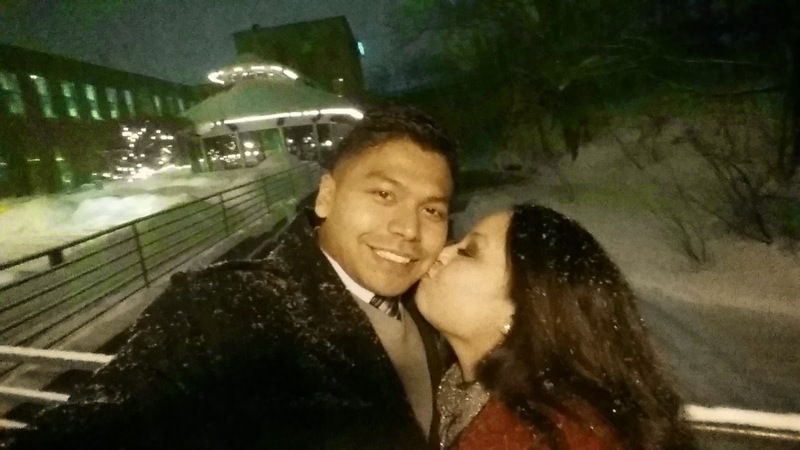 With the anticipated Valentine's Day Blizzard, the Mo and I cancelled our reservations at our favorite restaurant, Del Frisco's on the waterfront in Boston. 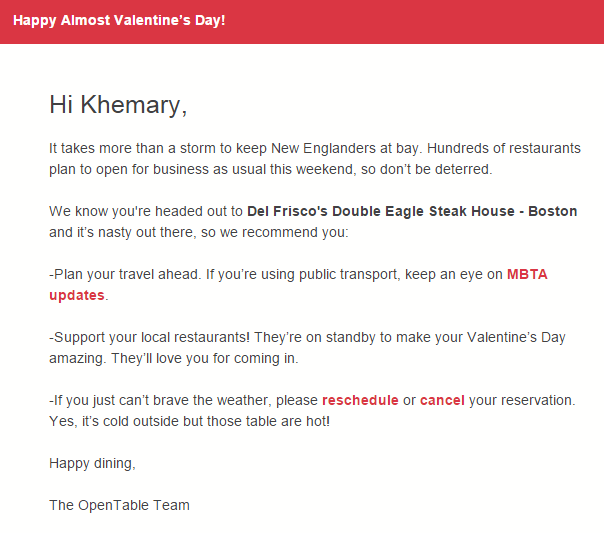 The reminder from Opentable actually swayed us to do it, after all, we are not "Snow Troopers"
I wanted to try something new within our area. 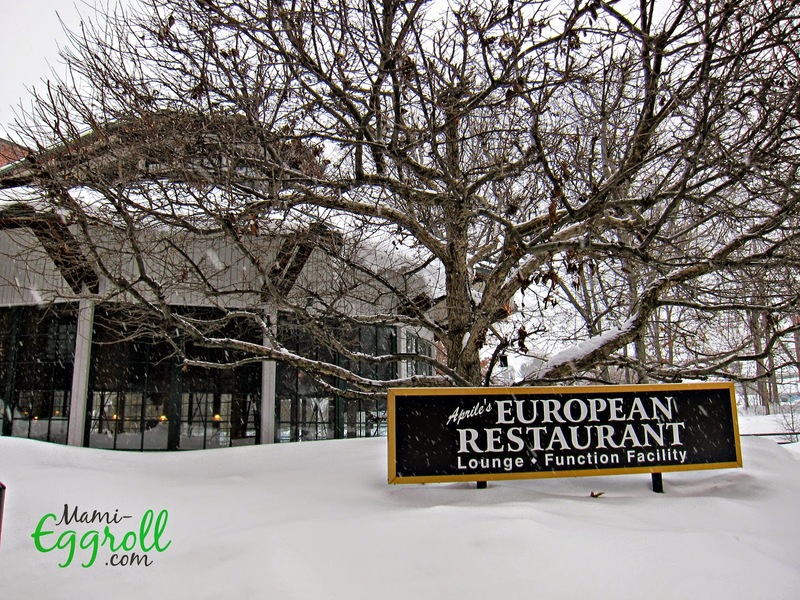 We called ahead and made reservations for an early dnner at Aprile's European Restaurant in Chelmsford, MA. 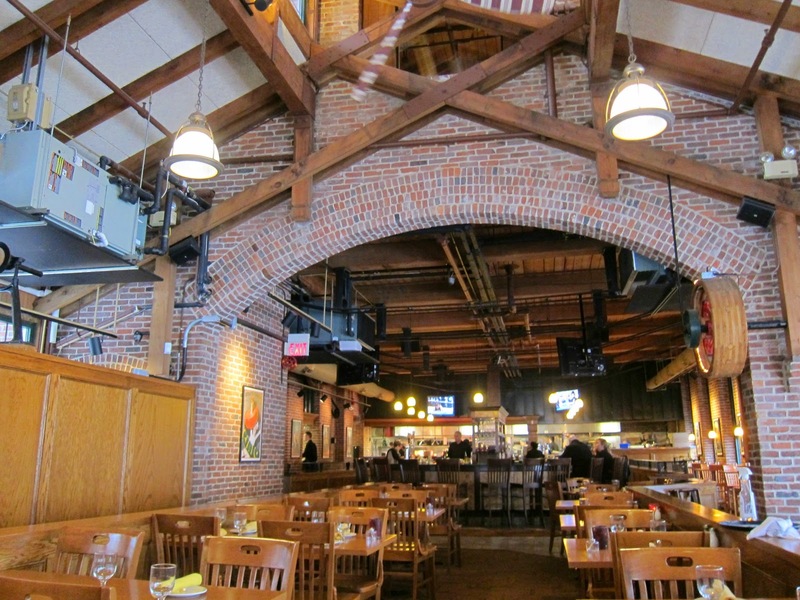 We had dinner at the renovated mills restaurant under its previous ownership when it was Bainbridge's. 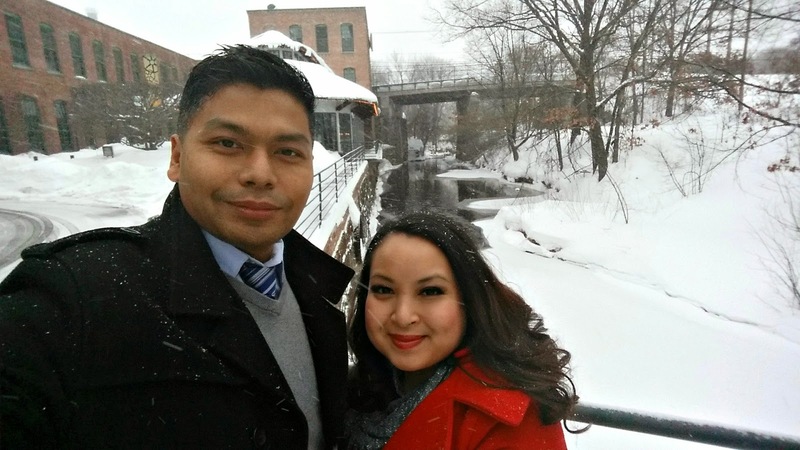 We arrived before 4 PM and enjoyed the beautiful New England winter wonderland scenery. The restaurant had a few diners but it was practically empty when we arrived. The rustic decor of the restaurant had a nice charm. 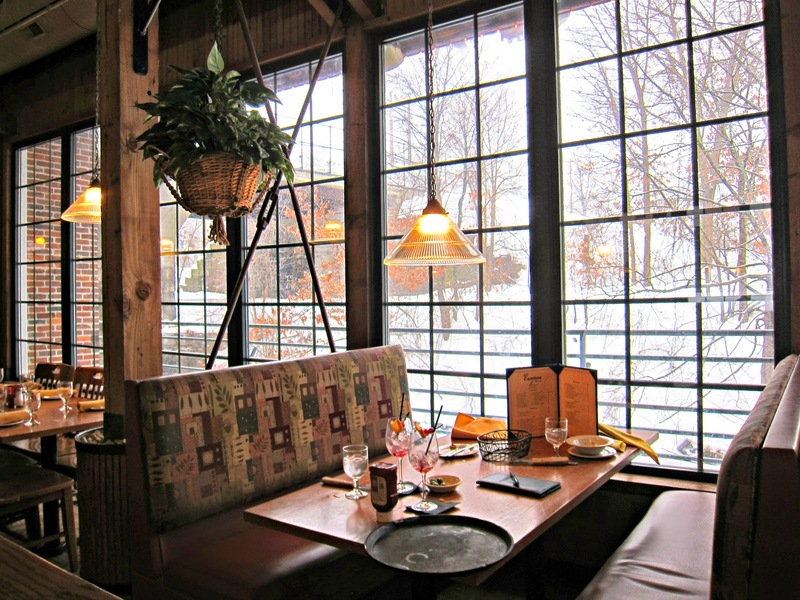 I loved all the large glass windows on the three side walls of the dining room, provides lots of natural light. Despite, the wood beams and exposed HVAC, the ambiance was still romantic. The view outside was also spectacular. Our server came by to introduce himself, go over the special Valentines Day menu and take our drink order. 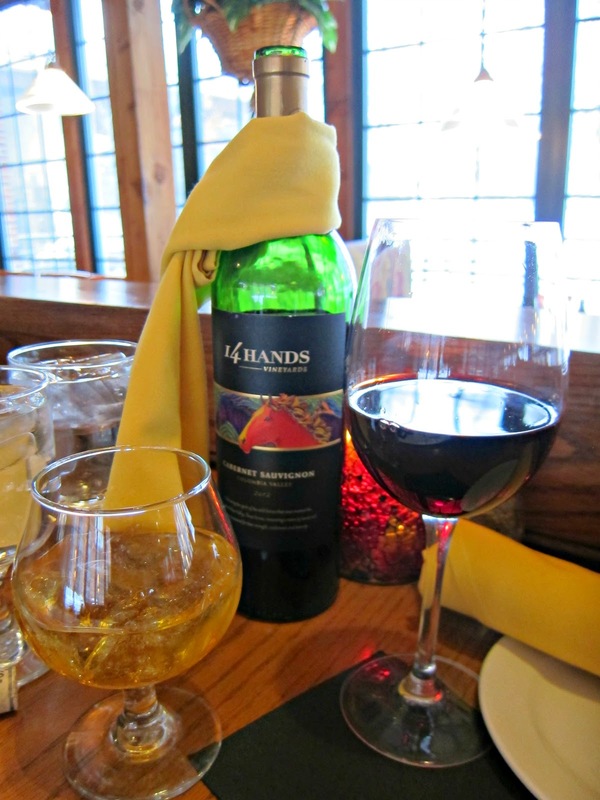 I ordered a bottle of red wine and he assumed that was for the both of us, When he was about to walk away, I said "That's just for me, I think my husband will have scotch." I guess no one orders a bottle of wine for one? The price of the bottled wine was very reasonable, starting at $24.00 a bottle. 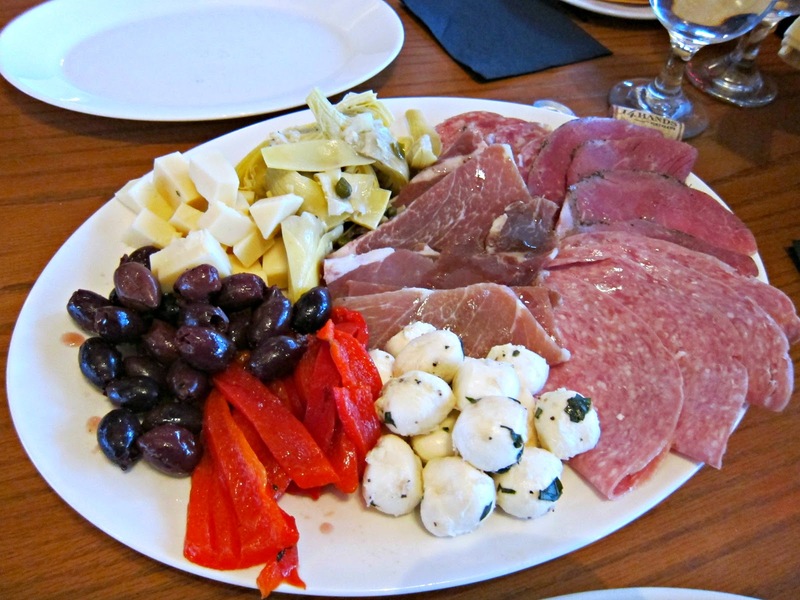 I've been spoiled with the antipasto platter at Tuscan Kitchen Burlington so I wanted to get some "Chef's cheese selection and assorted meats" for an appetizer. I was really disappointed. The assorted meats was more like a deli platter that resembled something off the shelf from Market Basket. The prosciutto was not fresh as it was no longer pink and the cured meat was thickly cut. What happened to the thin shaved prosciutto ? The mozzarella balls also looked and tasted like it was a prepackage version from the fridge and the basil wasn't even green anymore. Before dinner was served, fresh hot "crusty" bread was brought to our table along with olives in water and oil. I liked that the olives were not salty and just perfect. Our server informed us that the bread was a new style/recipe and the chef was really excited for it. It was OK, nothing to write home about. 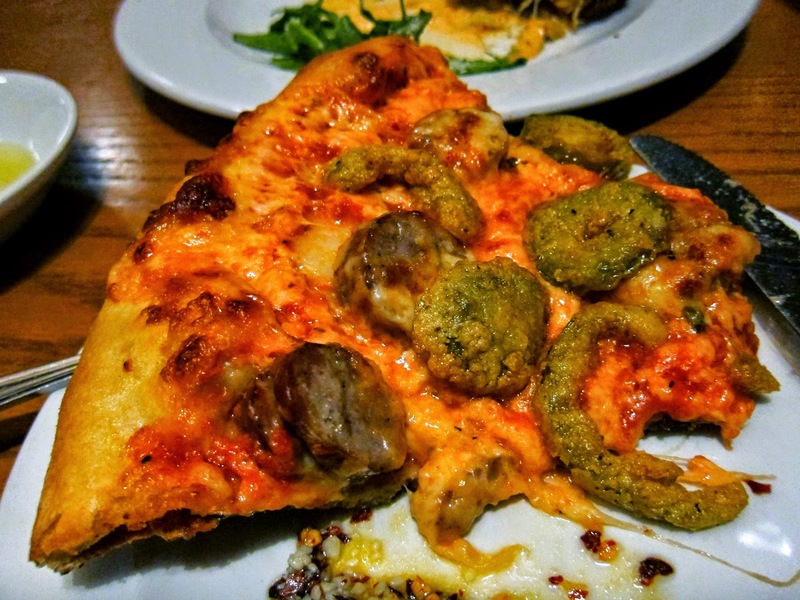 We didn't want a heavy pasta dish and still had plans to get our "meat" on at Del Frisco's in the future, so we went with a dish they are known for, their pizza. Who orders pizza on Valentines Day? We do! The Mo chose the Salcicca Pizza which had sausage and cherry peppers. 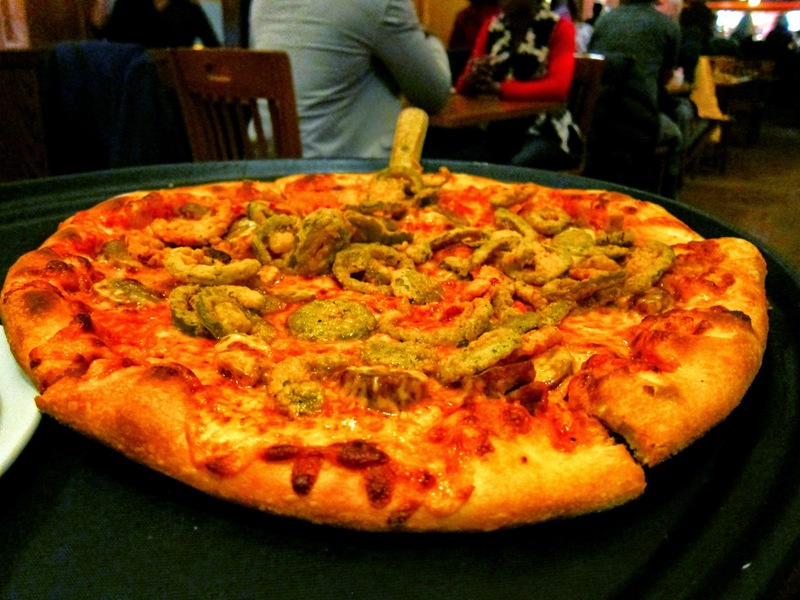 I was totally surprised to see that the cherry peppers were battered and deep fried before being topped on the pizza. CAN YOU SAY GUILTY PLEASURE! Although I felt bad eating it, I would definitely order it again. The pizza was wonderful! 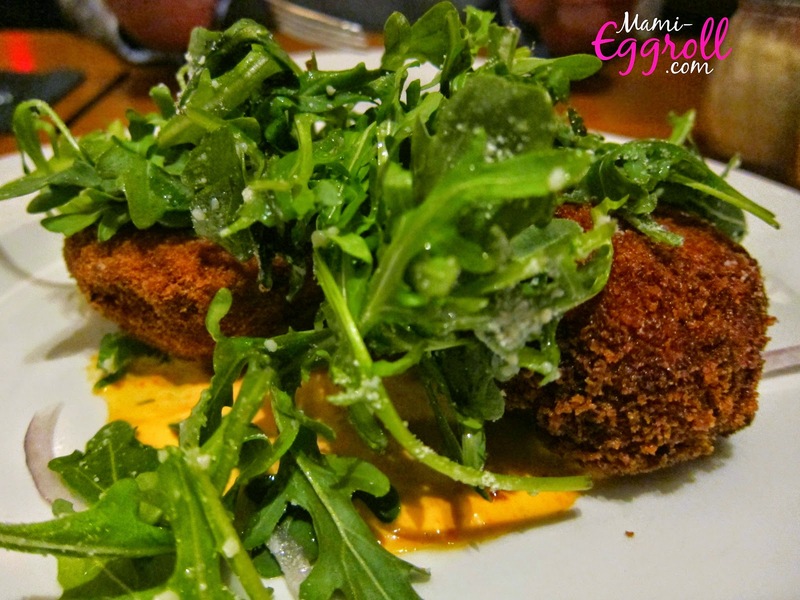 I love me some crabcakes so that was my pick from the appetizer menu. 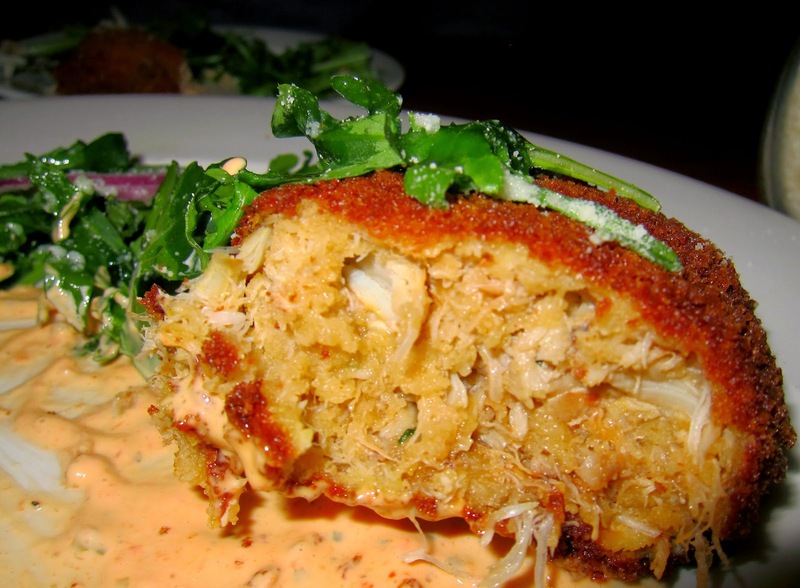 There were 2 huge crab cakes in an order. The cakes had a nice crispy outer shell and large chunks of crab meat inside. Towards the end of our meal, service was lacking a bit. Our server gained a few more tables and the restaurant was nearly full by the time we left at 6:00 PM. The Valentines Day meal set us back $110.00, which includes a bottle of wine, 3 glasses of scotch, a small pizza, antipasto for two and crab cakes.